Just a couple to hold you off until after breakfast. I'll try to be back, we'll see how the day progresses. Enjoy! I'm off to stuff my face. Have a great Friday. 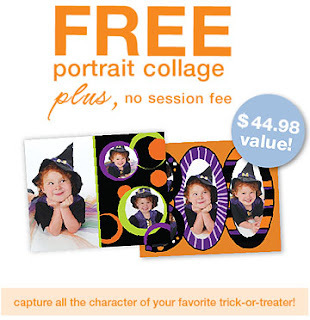 Free portrait collage is 8x10. Limit one per family, per session. See associate for available designs. Free portrait collage not valid with any portrait package, special offers or other discounts. Valid only on current session. Excludes online orders and reorders. Void where prohibited by law. Cash value 1/20¢. Available in US only. Prices, availability and terms subject to change without notice. Restrictions apply. Ask associate for details at time of session. The Sears trademark is registered and used under license from Sears Brands, LLC. See days and hours of studio operation. Offer expires October 31, 2009. 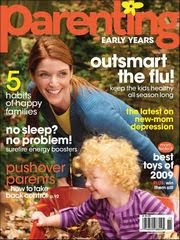 Sign up here for a complimentary 11 issue subscription to Parenting Early Years . Enjoy an 11 issue subscription. No strings attached. You'll never receive a bill. Rita that Parenting link leads to page that says offer is expired, wouldn't you like to subscribe anyway, for a fee. hope you have a wonderful weekend Rita! No freebies necessary, I'm independently wealthy. BWAHAHAHAHAHAHAHAH!!!!! Just checking in. I saw J's pics on FB a few weeks ago and wanted to say hey then, but life got in the way. I stuffed my face this morning, too :) What better way is there to start the weekend?! Thanks for the link to Sear! I need to take the kiddos there for new photos. Are these "pay per link" ads? I'm curious since that's the way my advertising company is wanting to go. At .05 per click I decided not to do it. Gotta go and finish that turtle soup.